Download Simple Newsletter Template Free PSD. A simplistic newsletter template psd that you can use for your personal blog. Suitable for any kind of business like Corporate Business, Agency, Creative, Blog, Magazine, Retail. You can easily customize the design and color as per your need. 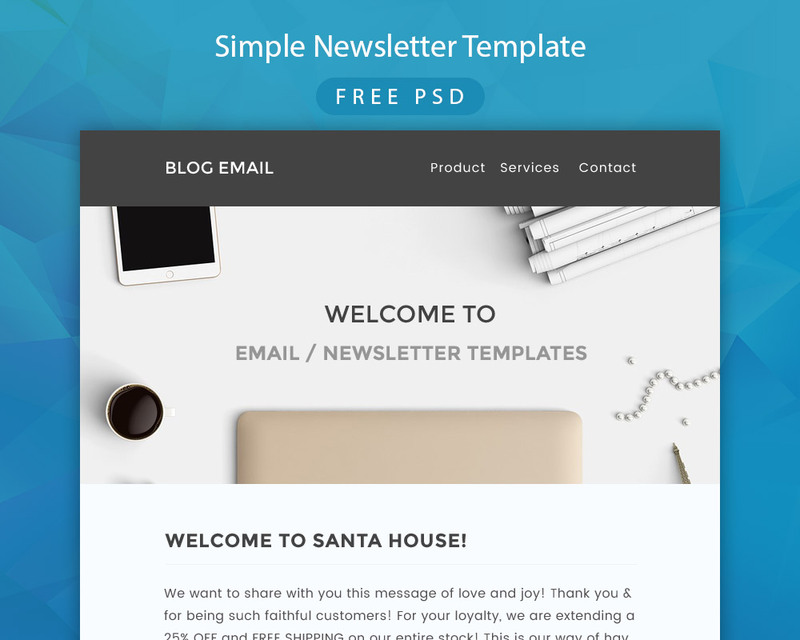 Simple Newsletter Template Free PSD Design is clean and professional. Enjoy!